"What will I use to build my house"? "Has anyone seen a pig around here"? 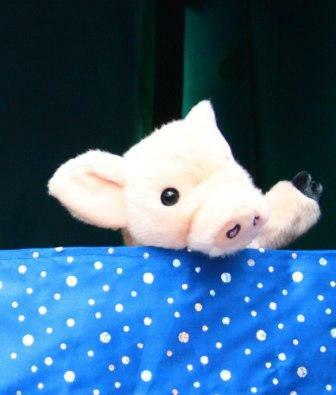 This is a sweet simple rendition of the much loved children's fairytale The Three Little Pigs.The show is very interactive so the audience can get involved with the characters and help build the story. The three little pigs Seánín, Briain and Rónán need a lot of help to hide from the wolf but will the audience help them or will they help the wolf? 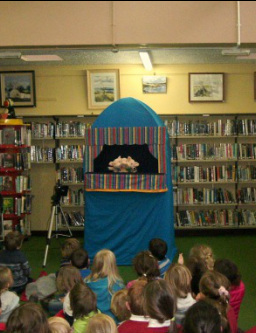 Watching the audience's reaction to one of our shows you are left in no doubt as to whether children in Ireland are able to say what they think! 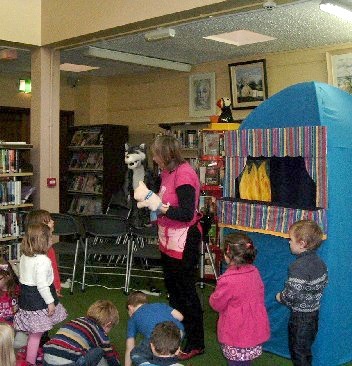 We also bring the puppets out to meet the audience after the show where we get to discuss important topical issues such as what are you wearing for halloween or how scary was that wolf. This is an opportunity where we can ask a question or make an announcement specific to the event organisers requirements. No audience is too big or too small for this show. From small private gatherings to large audiences at street events, it works for everyone. Book Our Show call us now for a friendly quote - we're more reasonable than you think! 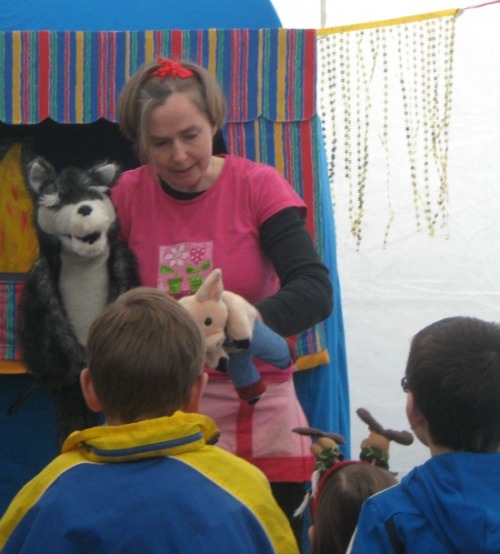 The show is performed from a portable booth, Punch and Judy style, so it can be used both indoor and outdoors (weather allowing). The audience sit on the ground in front of the booth. We require one plug socket and an empty floor space. 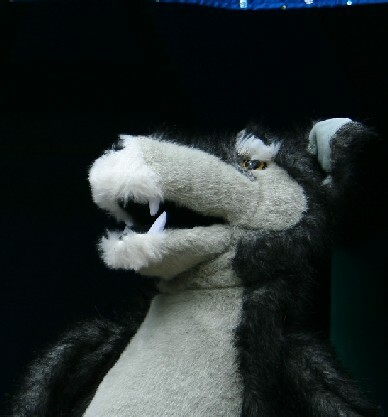 Book Our Show Call the puppet helpline where we're happy to give you a quote.